2016 the year of Post Truth: 2017 the year of Hidden Truth? A quick review of the year from my perspective. This was a big year for our family. A BIG year – bigger than we had expected it to be! Work-wise, Innovative Enterprise grew the number of staff involved, the range of offerings and the number of students we worked with to support their enterprise, personal and careers skills. I’ll do a quick chronological calendar and then do a bit of reflecting at the end on what the year has meant to me and what 2017 will mean to us. January saw the usual post-Christmas slump as well as some BIG plans for the year. I WAS going to finish the Your Enterprise Alphabet (YEA) card set I’d been working on for a couple of years as well as reducing the travelling I do to deliver workshops by spreading the load to more team members. Our eldest daughter Millie was going to graduate from Durham Uni, our youngest daughter Ruby was studying for her GCSEs and Val was on ‘project-horse’ to get a safe, sane horse to ride. Our new website www.innovativeenterprise.co.uk was launched in January 2016 with thanks to Dan Hodge and Josh at Kendal College’s wonderful Digital Team. February saw Ruby turn 16, I spoke at the Schools North East Conference for National Careers Week and progress was made on the YEA Cards. I also spoke alongside Phil Jones MBE (CEO of Brother UK) at the Hull #STEAM16 Conference for my friend Stephen Logan. March saw me agreeing to speak at #TMHullEY on 10th April alongside Hywel Roberts and I committed to launch my YEA Cards LIVE. Ruby and I went to see Rudimental in Blackpool and one of my highlights of the year was dancing madly as the lights went on with Ru to ‘September’ by Earth Wind and Fire at the end of the gig. Millie was in the final stages of exams and placement in her degree and Val and I went to see my mate David and his young family as they began settling in Nerja in Spain. 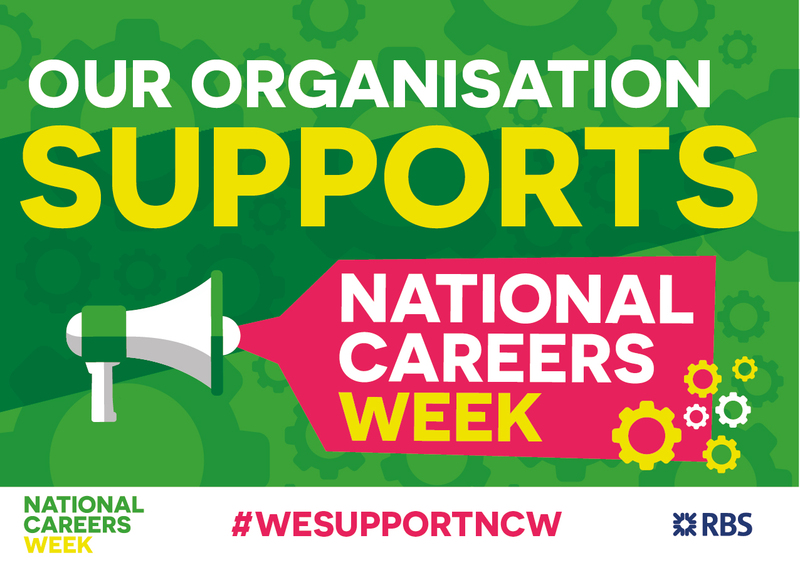 April saw the formation of a new chapter in National Careers Week as I became a Director alongside some friends old and new to make Every Week Careers Week. Your Enterprise Alphabet cards were launched at the TeachMeet in Hull and I spoke alongside one of my educational heroes Hywell Roberts. The Make It Campaign secured funding for additional activities with new manufacturers in the UK in 2016/7. May 2016 was a big month – exams for both daughters and I spoke at the BT Arena in Liverpool for 800 people at the Careers and Enterprise Company’s Joining the Dots launch. As well as a big audience, I shared the stage with Nicky Morgan the then Education Secretary and Lord Young – who I met in 2015 at Number 10 Downing Street. We also moved the business into a proper business unit and Val became more of a part of what IE does. June 2016 will be remembered for many reasons – some fond, some not. Both girls finished their courses and Millie graduated from Durham Uni with a 2:1 in Primary Ed with QTS on 29th. She also secured her first interview the same day and was appointed as a part-time teacher at the end of the week! The 23rd June was a turbulent day for the nation as the UK narrowly voted – idiotically, in my opinion – to leave the EU. After a campaign of smear and racism, lies and false claims the Leave campaign disbanded immediately leaving the country rudderless and clueless. Post-Truth was born on 24th June as it was claimed that the £350M a week promise on the red bus was ‘a mistake’…we are all feeling what kind of ‘mistake’ that was now and will do so for years to come. The 23rd June was also the day that we said goodbye to my mother, Jean Bernard. After a debilitating illness, a spell in hospital and a care home she left us at 0830 on the 23rd. I truly Mum finds peace in a better place than she was when she said goodbye. More positively, the 23rd saw us take delivery of Jigsaw – Val’s new hobby / transport / pastime – a brown and white cob. The smelliest but kindest horse we’ve ever had. July was an exciting month – we worked all over the UK – traveling in the van about 3000 miles in three weeks, working with more than 3,500 students from the UK and overseas at schools and in summer camp in Oxford University. Alongside this, working with the Transformation Trust and Prudential I was involved in a development day on 6th at the Lee Valley VeloPark in London with charity partners from TeachFirst, the Invictus Foundation and Greenhouse sports charity. Around 60 people were supported by the Pru to do the RideLondon Charity Bike Sportive on 31st July. What a privilege to ride 100 miles with so many inspiring people! (About 26,000!) Another major highlight! August was (supposedly) time off after another 2 weeks of Summer School workshops in Oxford University and Hull we all went to Nerja again – however relaxation was tough as I was preoccupied with a project for September. Cycling in Nerja was a highlight – on a rented carbon road bike on the Southern Spanish coast and mountains near Grenada. We did some garden projects and prepared with autumn. Results for Ruby were outstanding in the GCSE exams. September was a highlight month – on 7th I was asked to deliver a TEDx talk for TEDxWhitehaven in Cumbria. For some time I’ve been thinking about the way young people are taught about their futures, careers, enterprise…planning and moving forwards in an increasingly complex and shifting world – so my TEDx talk was entitled Engineering Random Opportunities to Succeed, featuring some of the projects we’ve designed and delivered with businesses and using CSR as a vehicle for successful experiences for young people. With this in mind we also met with various partners at the request of Sonia and Andrea at EDIT Development to look at kick-starting a new initiative to support Girls into STEM Careers along with Stemettes, Sky, Fujitsu, Arcadis and others. Ruby started sixth form and Millie started her career journey doing a job-share at a small Primary School in Cumbria…she was asked to go full time after Christmas. In the business we started on electronic accounting and doing more delegating and developing more workshop offers. At the end of the month we delivered the second annual Stock Market Challenge fundraising event for the Arthur Rank Hospice in Cambridge – we again raised £19,000+ for the charity in partnership with Rathbones Financial Management at the evening event at the Cambridge Union Society. October became a standout month for a couple of reasons…I did my second stand-up comedy routine at the Professional Speaking Association MEGA Conference and although I loved it and it was well-received I’m not going to do anymore…I lose SO much sleep over 5 minutes of performance that it is too trying! We were also asked to host a ‘Meet the Experts’ session at the Conference where people came to find out how to develop products alongside their talks and delivery. An amazing networking event, I spent time with friends like Lee Jackson, Steven Houghton-Burnett, Sarah Fox, Geoff Ramm, David Hyner and Mark Wingfield – and meeting some new ones – Mel Sherwood, Katie Bulmer-Cooke, Kate Cairns, Les Jones, Lorna McCallum and Julie Creffield. What a team to be a part of. The PSA Continues to surprise and delight me as I meet more people and put more into it. On 13th October I turned 50 – an unbelievable event which used to see SOOOOO old which now doesn’t seem so bad…especially as all my school friends are turning 50 too this year! I also spoke on a panel for my friend Sonia Bate from EDIT Development at the Shared Services Forum Conference – alongside Phil Jones MBE again and with Charlotte Sweeney the newly-awarded OBE for her services to diversity and inclusion in Leadership! We also hosted – thanks for Val’s amazing planning and networking skills – the best party we’ve been to in years for my birthday – where people wore silly hats and I played the turntables for a couple of hours across the evening…we also raised £350 for myself and my youngest to travel to Uganda in January on a charity trip to work at a school and on a medical mission. November was a busy and roller-coaster of a month. We have the absurd prospect of the Narcissist in Chief being sworn in as the next US President, on his wave of Post-Truths and populist rhetoric. On a more positive note, I was lucky enough to have been asked to speak at the Practical Pedagogies Conference in Toulouse for Russel Tarr at his International School. Not only was I lucky enough to speak but I met some AMAZING new friends and colleagues from Primary and Secondary Schools – Tim Taylor, Bryn Llewellyn, Pete Sanderson, Ed Dorrell, Sophie Merrill, Jenna Lucas, Ben Rouse, Naomi Roberts, Hywel Roberts (again) Simon Blower, Maree Whiteley, Carmel Bones, Wendy Brown, Natalie Scott, Julia Richardson, JL, Lucy, Mike Watson, Kerry McFarlane, Leah Sharp…and so so many others. A complete honour and the best networking event I’ve ever been invited to. We delivered a Stock Market Challenge Celebration Event in Jersey for a Financial Management firm – another wonderful highlight as Patrick took on the lead role in the delivery of this prestigious event. I was also lucky enough to travel to Abu Dhabi again with the wonderful Make It Campaign and BAE Systems. The two events were superb and we received visits from the CEO of Mubadala, a major aerospace manufacturer in the UAE, then at the opening of the Innovation Centre at The University of the UAE we delivered a workshop and were visited first by the Minister for Education for the UAE Government and then – unbelievably – by His Highness Sheikh Mohammed who spoke to stidents and visited our event for 20 minutes – AND enabled our event to feature on the front pages of a number of UAE newspapers the following day along with the wonderful Stephanie Boyle the Manager of the Make It Campaign. December brought some good news as Val was offered a day a week counseling at our local Secondary School and allows her to use her skills in counseling and her Masters Degree with young people and possibly staff at the busy school in Cumbria. We delivered many workshops for the Prudential, Dell, new clients for Make It including CADAssist, CoolKit and Croft Engineering as well as the fourth year if the Dream Placement Scheme in Cumbria with a record 104 students and 54 companies. We had a quiet family Christmas, caught up with friends and family and ate too much. I was asked to do a vlog for the #Teacher5aDay YouTube Channel and that is now live along with a number of other Twitter educators sharing their tips on wellbeing. Overall 2016 was a good year – on reflection – there were times and events that kind of overshadowed everything that happened including Brexit and Trump as well as the number of high-profile individuals who passed away during the year but for us as a family and a business things were good in the main. Sometimes they were too good, and despite my assertion that I was going to travel less and delegate more, we fell into the trap of looking at the diary and saying ‘yes’ instead of planning more business-development / thinking / planning / forward-thinking time (call it what you want but you know what it is)! On Christmas Day we were all shocked to hear that George Michael had died. Whether we like to admit it or not, people of a certain age will have George Michael as a part of their childhood and teenage years and latterly as part of our record / CD / MP3 / back-to-vinyl collection. There at the back – played now and again – or heard every year as Last Christmas hits the airwaves…again. We all knew about George’s turbulent times, his creative intimate relationships, his struggles (or embracing) of drugs and legendary accidents and that he was involved in AIDS charities. I came across a lovely video for the song ‘If I Told You That’ with Whitney Houston in which they sing, dance and have the biggest hug I’ve ever seen in a music video – watch it, smile and dance. I’ve watched it on repeat for days. No one knew – because he didn’t want glory for them – of all his wonderful acts of kindness, compassion and generosity…from weekly shifts at a charity to huge donations and gifts, he was truly and ironically an unsung hero in his private life. George Michael’s passing has gradually upset me more and more – that someone with such a deep well of kindness should have been such an object of ridicule in the Press (if you can call most of the UK papers ‘The Press) – so much so that he kept his light of kindness hidden is so surprising. In an era when people in the public eye will often go to the opening of an envelope to be seen, when the ‘Photo Opportunity’ is such an important part of today’s Social Media world and he chose to remain quiet and anonymous makes him all the more remarkable. When some people pass away we find out what they were really like behind the mask – in George Michael’s case, his life behind the curtain was turbulent but also one of the best-kept modern secrets of kindness, selflessness and compassion. Could we make 2017 the Year of Hidden Truth – where we all try and be a little kinder, a bit more understanding and a lot more friendly? Where we switch off from the hate spread by the newspapers and we actually talk to one another and do more than ‘Google it’ to find out about something rather than taking someone else’s opinion at face value. What is the antidote to the word’s spreading virus of Post-Truth (or LYING as we used to more accurately call it)? I think it’s Hidden Truth – where our real truth is even better than the one we show the world – let’s do some nice stuff with some nice people and do our bit to make our legacy a good one. PS: I’m also putting together a pledge under the #teacher5aDay model in the next few days to hold me accountable to changes we are planning.